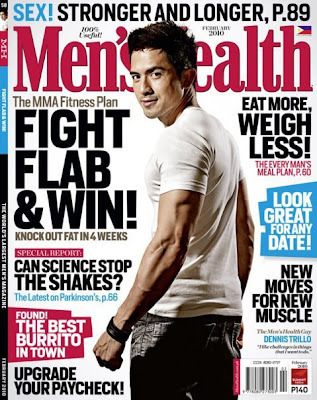 Actor-singer Dennis Trillo is on the cover of Men's Health Philippines February 2010 issue. Men's Health Philippines February 2010 issue is now available at all magazine stands nationwide. 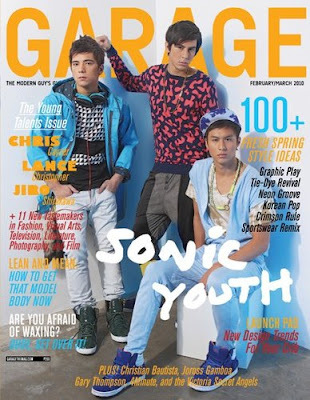 Garage Magazine features "young talents" Chris Cayzer, Lance Christopher and Jiro Shirakawa in their February - March 2010 issue. This issue presents a "Sonic Youth" theme that have articles on 100+ Fresh Spring Styles for the young and modern guys. There�s also a feature about being "Lean and Mean", a self-help advice on getting the much-aspired model body. Other celebrities featured in the latest issue are Christian Bautista and Joross Gamboa. Garage magazine February-March 2010 edition is now available at all magazine stores nationwide. The box-office loveteam of Bea Alonzo and John Lloyd Cruz is on the big screen via the Star Cinema's post-valentine's offering, "Miss You Like Crazy"
Joining the cast and will play as the third wheel is accidental actress Maricar Reyes. Catch the full trailer of the upcoming Pinoy remake of the hit Mexicanovela "Rubi" starring Angelica Panganiban. Rubi is also starred by Diether Ocampo, Jake Cuenca and Shaina Magdayao. Marian Rivera graces the cover of Meg Magazine for their February 2010 issue. Meg Magazine also features the latest on lash extensions and eco-friendly prods, tips on how to get that fres h glow, hot to keep your relationship interesting and the boys to fall for. 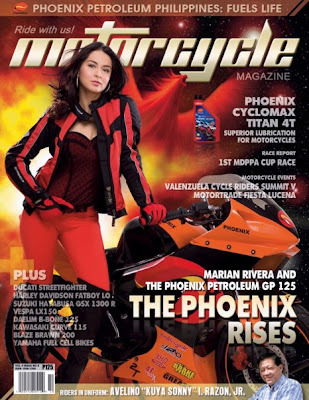 Incidentally, the very much in-demand Kapuso primetime queen and cover star also graces the cover of Motorcycle Magazine and Speed magazine recent issues. MEG, Motorcycle and Speed Magazines are now available at all magazine stands nationwide. Real life couple Marian Rivera and Dingdong Dantes cover YES! Magazine in their love month issue this 2010. In this issue, Dongyan officially and finally revealed the real score between them and narrated how their relationship progressed from "love team" to "lovers." Yes Magazine February 2010 issue is now available at all magazine stands nationwide. Hurry! Grab your copy now! Kapuso Primetime Queen Marian Rivera and Kapamilya's Dyosa Anne Curtis are the cover girls of MEGA Magazine�s 18th anniversary back to back issue this February. This is Marian's third time to graced the cover of MEGA. The first was in January 2008 when Marian was tagged by the fashion magazine as one of the 2008's Women to Watch. The Darna star shared the cover with 9 other women including Angelica Panganiban. The second time that Marian Rivera graced the cover of MEGA was last March 2008 for the magazine�s Spring edition. On the other hand, Anne first graced the cover of Mega Magazine last September 2008 when the kapamilya goddess donned an elegant black long gown. 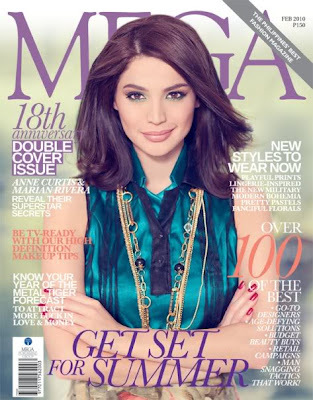 The second time was during MEGA�s 17th anniversary issue last February 2009. MEGA magazine�s February 2010 issue with Marian Rivera and Anne Curtis on the covers is now available nationwide wherever magazines are sold. AGB Mega Manila TV Ratings (January 21-25): "It's GMA-7's 'Darna' vs. GMA-7's 'The Last Prince' Race to the Lead"
1. Philippine TV's version of the hit Mexicanovela "Rubi". Angelica Panganiban plays the bida-kontrabida Rubi with Diether Ocampo, Shaina Magdayao and Jake Cuenca. 2. Rod Santiago's "Agua Bendita". Andi Eigenmann (Jacklyn Jose's daughter to actor Mark Gil) leads the cast of this graphic fantasy novel. She will be supported by young actors Jason Abalos and Matteo Guidicelli. 3. Precious Heart Romances Presents: Impostor. Hunk actor Sam Milby and Maja Salvador team-up for the first time in the TV adaptation of this bestselling pocketbook novel. 4. Kokey @ Ako. Angel Locsin is back on telefantasya genre via the second book of hit ABS-CBN kiddieserye Kokey. 5. Habang May Buhay. The face of Soap Opera, Judy Ann Santos, is back on primetime after three years of absence through the Nurserye "Habang May Buhay". This also marks the comeback of Juday-Derek loveteam. The Gawad Tagapuring mga Akademik ng Aninong Gumagalaw (TANGLAW) announced their chosen winners for film, tv, theater and radio arts for the year 2009. The awarding ceremony will take place on March 3, 2010 at the Jose Rizal University. The star-studded 16th Annual Screen Actors Guild (SAG) Awards took place last January 23, 2010 at the Shrine Exposition Center in Los Angeles. 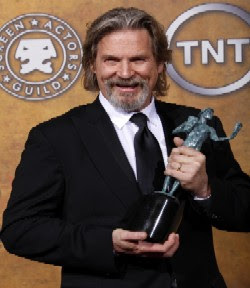 Jeff Bridges take home top honors for "Crazy Heart", while Sandra Bullock took Best Actress for her role in "The Blind Side." Outstanding Stunt Awards were offered to the cast of Star Trek in motion pictures, and the cast of 24 in a television series. 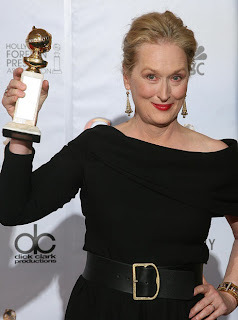 Screen Actors Guild Awards honors acting achievements in film and television. 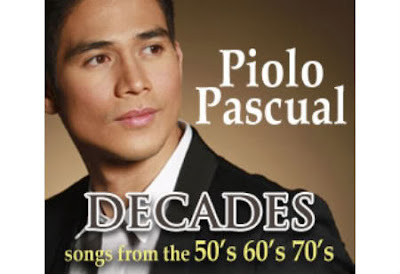 Piolo Pascual's 6th studio album "Decades" topped Odyssey�s Best Selling Albums and OPM charts. Angel Locsin will play a challenging role as an accidental mistress in Maalaala Mo Kaya's Valentine episode. 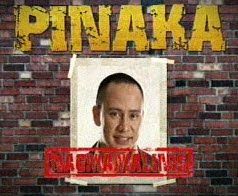 The MMK episode with Jake is Angel's third appearance in the longest-running drama anthology. Her previous MMK role for the "Pilat" episode had won her the Best Single Performance by an Actress award in the PMPC Star Awards for Television � her very first acting award. Angel explained her role via ABS-CBN, "It�s different talaga. Medyo strong kasi yung character niya and eto yung character na kadalasan hindi naiintindihan. Kumbaga bago tayo manghusga ng tao, tignan muna natin kung ano ba talaga yung sitwasyon. Kasi ang role ko dito isa akong mistress, tapos naniniwala kasi ako sa pamilya, sa kasal, kaya isa-sacrifice ko yung sarili kong kaligayahan para �di ako makasira ng pamilya." With awards rolling in, James Cameron�s Avatar has officially topped the director�s other box office smash Titanic. Current numbers have the sci-fi thriller raking in over a billion dollars internationally. According to E! 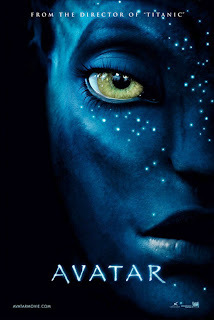 Online, Avatar took home $1.29 billion worldwide, surpassing Titanic�s record $1.24 billion. If things keep up, it has the potential to beat out Titantic�s worldwide record of $1.848 million. And to keep the ball rolling, the flick starring Zoe Saldana and Sigourney Weaver could even beat Titantic�s domestic gross of $600.8 million sooner than expected � with an already whopping $552.8 million under its belt, E! Online reports. If James Cameron�s record was going to be taken over, at least the competition is friendly. AGB Mega Manila TV Ratings (January 19-20): "Darna Reclaims Leadership"
People Asia magazine honored the country's 16 outstanding personalities in its annual list of "People of the Year" recently at the Sofitel Philippine Plaza. People Asia also handed out special awards to "Ondoy" heroes: Quezon City Judge Ralph Lee, the "jetski judge"; and actors Jericho Rosales and Gerald Anderson, who risked their lives to rescue flood victims. A posthumous award was given to Muelmar Magallanes for giving his life to save his family and neighbors during the flood. Special awards were also given to the province of Camarines Sur, led by Gov. LRay Villafuerte as the "Top Destination of the Year"; Nivat Chantarachoti, general manager of Thai Airways; Agriculture Secretary Arthur Yap, whose programs have been helping uplift the lives of farmers; Spanish Ambassador Luis Arias Romero; Sarah Geronimo, who will be given special recognition for her achievements in the field of entertainment; and the Singapore Airlines A380, the "Oasis in the Sky." Rocco Nacino and Sarah Lahbati get another chance to continue their StarStruck journey after dodging the risk of possible elimination in StarStruck V.
The Factor 2 twist came into play in last Sunday's elimination night after the council members composed of TV director Floy Quintos, versatile actress Iza Calzado and talent manager Lolit Solis used their one time power to stop the elimination. Nina Kodaka joined Rocco and Sarah in the bottom 3. Diva Montelaba, Rox Montealegre, Ian Batherson, Steven Silva and Enzo Pineda were all safe. The Top 8 survivors brace themselves to lose two contenders in the next elimination night if Factor 1 takes effect. Factor 1 states that if a survivor lands in the bottom group thrice, it would mean an automatic nomination for them. And right now, both Ian Batherson and Nina Kodaka have been part of the bottom group twice. With only five weeks to go before the final judgment night, the eight remaining contenders are keeping their fingers crossed as only four will be given the chance to become the next ultimate survivors of the fifth season. Who will shine in this week's artista tests and challenges? Can the Top 8 contenders survive Factor 1? When will Factor 4 and Factor 5 take effect? Viewers can vote through the website www.starstruck.tv. StarStruck V airs every Saturday with Raymond Gutierrez right after Pinoy Records and every Sunday with Dennis Trillo and Carla Abellana right after Kap's Amazing Stories while StarStruck Shout Out airs 3 times a day Mondays to Fridays with five-minute updates in the morning, afternoon, and primetime blocks on GMA-7. AGB Mega Manila TV Ratings (January 15-18): "'Kung Tayo'y Magkakalayo' Begins and 'Dahil May Isang Ikaw' Ends in Second Place"
There is life after Juris Fernandez for the local platinum selling band, MYMP (Make Your Momma Proud). 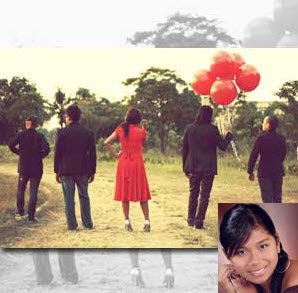 Months after the departure of Juris from the group due to "irreconcilable professional differences," founder and guitarist Chin Alcantara announced that the group will move on with new vocalist named Juliet Bahala (see photo inset). The young Davao City native reportedly clinched the vacated spot through an audition where she bested fifteen other aspirants. "Juliet's demo was the first one we heard and right away I knew she was the one. But our [new] manager [Tere Tinio] convinced me to wait and listen to other applicants but Juliet stood out. She fits all the criteria: distinct voice, versatile yet has her own style, and impressive technique and range," Chin proudly narrated in a recent interview. The opportunity to sing for an established band was simply a chance Juliet could not afford to miss. Never mind if the prospect of assuming Juris's previous role is one daunting task for any newcomer. "I have been a fan of love songs long before. When I heard that MYMP was looking for a new singer, I thought that even if my voice is different from their style, I will have a great input in this band. And I also heard from my friend who helped me audition that Chin arranges all the songs and that he is a perfectionist when it comes to music. So I know that I will be in good hands," said Juliet. According to Chin, MYMP will release a new album this year still under Star Records where the group has still an existing contract. Chin feels that releasing a new record is needed to immediately jumpstart the group's rebirth. He also hopes to reintroduce MYMP as a legitimate band and not a two-piece act, explaining that the term "duo" commonly used in describing the group for several years came from the music press. "I want to maximize the talents and versatility of my new singer and instrumentalists. Expect a new sound from MYMP," mentioned Chin. The crafty guitarist, who owns the MYMP trademark, is not bothered by the possibility of losing a huge chunk of the group's original fan base with this latest change. He said that the group has always put music first above image and individuals. "If you study the history of MYMP, it started as an all-male rock band then it slowly evolved to pop then acoustic. The important thing is the talent, passion for music, grace and humility." Watch MYMP introduce its new singer Juliet Bahala on ASAP XV this coming Sunday, January 24. Tibo, Mommy Kath, Johan, and Hermes are in danger of nomination next week when the remaining housemates inside the PBB house chose to nominate them in last night's nomination night of PBB Double Up. Mommy Kath, Jason and Melai chose to nominate Tibo. Mariel, Paul Jake and Tibo nominated Mommy Kath and Jason, Paul Jake and Melai wanted Johan out of the PBB house. While Hermes, being the "kulelat" in the HOH game, decided to automatically nominate himself. 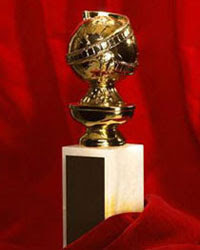 Here are the elite list of nominees and winners in the 2010 Golden Globe Awards which took place at The Beverly Hilton Hotel on Sunday (January 17) in Beverly Hills, California. The ABS-CBN talent variety program "Showtime" will return on air tomorrow, January 19, despite the 20-day preventive suspension imposed by the MTRCB. ABS-CBN is happy to announce that the talent-variety program �Showtime� will return on-air starting tomorrow, 19 Jan 2010, following the issuance of a temporary restraining order by the Court of Appeals enjoining the MTRCB from continuing to enforce the preventive suspension order on the show. We welcome the CA resolution dated 15 January 2010, which states: "For reasons afore-stated, and as prayed for by petitioner, let a TEMPORARY RESTRAINING ORDER be issued, as it is hereby issued, effective sixty (60) days from notice hereof, enjoining respondent MTRCB, including any and all persons acting in their behalf and under their command and authority, from continuing to enforce the Preventive Suspension Order dated January 11, 2010 issued against petitioner, pending the resolution of the instant petition." The top-rating talent variety program was suspended by the MTRCB last January 11 after one of its guest judges, Rosanna Roces, made statements against the teachers in the January 7 live show (click HERE for related story). 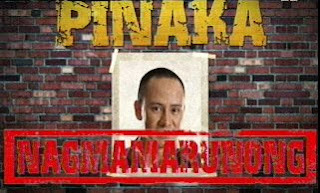 A temporary show "Magpasikat" replaced Showtime during the suspension. The remaining housemates brace for the "avengers" this week. The two "Pinoy Big Brother" houses are back and so are evicted ex-housemates Delio, Patrick, Princess, Rica, Rob, Tom, and Yuri! They join newly evicted housemate Cathy in another �test of character� that will pit them against the remaining housemates in order to expose their true colors and capabilities. Meanwhile, Hermes, Johan, Tibo, and Kath are nominated for eviction this week. See how they deal with the pressure from the Resback Attack Team on "Uber" with Mariel Rodriguez, "PBB Double Up" on Primetime Bida with Toni Gonzalez, and "PBB Double Uplate" with Bianca Gonzalez. 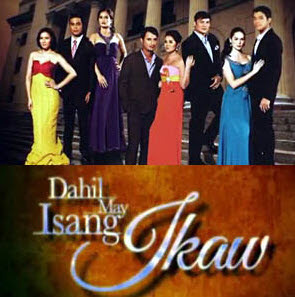 AGB Mega Manila TV Ratings (January 12-14): "Dahil May Isang Ikaw Tops on its Last Few Days"
According to the figures provided by Star Cinema through its executives Roxy Liquigan - Star AdProm director and Star Cinema & TV Synergy Specialist Mico del Rosario, their films for 2009 earned a total of P1.135 billion. You Changed My Life, the Sarah Geronimo-John Lloyd Cruz-starrer, was once again a Valentine hit with its gross of P208.8 million. Star Cinema has promised that the love story of Laida Magtalas and Miggy Montenegro will continue, with Cathy Garcia-Molina still at the helm, but they have no definite date yet for its release. Given the fact that Ai-Ai delas Alas starred in three blockbuster hits last year�Ang Tanging Ina N'yong Lahat, BFF (Best Friends Forever), and Ang Tanging Pamilya�there is a big possibility that she will be hailed as the Box-Office Queen. However, that will depend on the criteria set by the Guillermo Mendoza Memorial Scholarship Foundation, Inc. and whether they will count the gross of Ang Tanging Ina as part of the 2009 movies, or if it should be classified as part of 2008. The three films of Ai-Ai earned a total of P374.5 million. Del Rosario pointed out that even though Ang Tanging Ina N'yong Lahat was part of the 2008 Metro Manila Film Fest, they still consider this Ai-Ai delas Alas starrer as part of their 2009 lineup. This is because even though the film opened on Christmas day, it had a much longer screening period during the month of January 2009. "Sharon At Home" Magazine, Out Now! The year�s most awaited magazine is now available at your favorite newsstands and in magazine stores. Sharon At Home is Sharon Cuneta-Pangilinan�s latest offering and features a different side of the multi-awarded singer, actress, TV host, and one and only megastar. As the magazine�s editor-in-chief, Sharon sheds her glamorous showbiz persona to give way to Sharon the homemaker, the side of her that�s into cocooning and connecting with family and friends, and who loves to organize warm and meaningful get-togethers. For her first issue, she welcomes readers into her home and shares her entertaining tips, finds, and recipes, as well as crafts that could help make your gatherings even more special and memorable. Sharon makes her magazine even more personalized with handwritten "sticky notes" that appear throughout the magazine�making the magazine�s first issue truly a keepsake for fans and for homemakers. Then, of course, there�s the pensive side of Sharon, the one that hopes to inspire her readers by sharing her reflections on turning 40 (January is Sharon�s birthday month), motherhood, relationships, and work. Exclusive to the magazine is an article written by Sharon on coping with the loss of her beloved nanny, Yaya Luring, who passed away last year and a candid and rare essay on Sharon opening up about her struggles with weight and her inspiring resolve to continue striving to be her best self. Need ideas some inspiration or creative ideas for your next bonding activities? 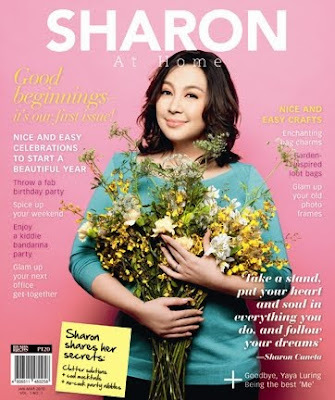 Grab a copy of Sharon At Home, available at Php120 at your favorite magazine stands. Sharon At Home is published by ABS-CBN Publishing, Inc. Check sharonathome.multiply.com and Facebook Sharon at Home page for more details. Cathy Rempers, the Charming Babe ng Bohol, is the latest housemate to get the boot in Pinoy Big Brother Double Up House. As expected, Melissa received the highest percentage of vote to save among the five nominees. 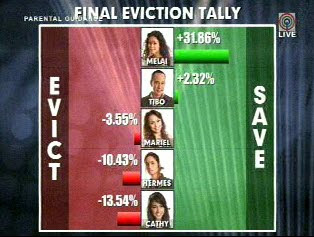 She got +33.46% while Cathy finished second with +13.54% Mariel got the lowest vote to save percentage, just +1.98% among the 5 nominees. After the votes to evict and vote to save scores were combined, it was declared that the televiewers picked Cathy Remperas to get the boot. Here is the official movie poster and publicity photos for Star Cinema's latest movie offering titled, "Paano Na Kaya". Showing on January 27, Paano Na Kaya is directed by Ruel S. Bayani.